I have hundreds of little black beetles flying around my porch light every night. I think they’re coming from my front yard because if I walk in the grass at night, I can see them down around the thatch. They’re small, oval in shape and in the morning, they’re all gone. How can I stop them? There is a wide range of plant and turf infesting beetles which are naturally drawn to light. And many of these species are black. We’ve been getting a lot of calls this year for one species known as the sugarcane beetle. The sugarcane beetle is member of the scarab beetle family so they are similar in look to dung beetles. They’re about 1/4″ to 1/2″ long and like all beetles, go through the egg, larva, pupae to reach adulthood. Sugarcane beetles will get active in April and May as they emerge from the turf. Its in the turf where they hatch, feed and develop and once they emerge, they’ll look for a mate to reproduce. Sugarcane beetles will thrive in untreated bermuda or zoysia grass and like any turf infesting beetle, they’re easy to control with the right products. Grass with activity will continue to host them so if you see them in the yard, you best treat to minimize damage. Now if the beetles are coming from a source not on your property, your only options will be to treat where they are accumulating. In this case, its the front porch. To deal with this type of problem, you have two options. 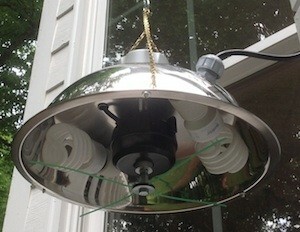 The first is to spray PHANTOM AEROSOL around the light fixture. This non-repelling aerosol won’t repel them so you will continue to have activity following a treatment. But if you spray a 3-4 foot spot around the light every evening just before sunset, you’ll put in place a barrier which will eventually impact the beetles coming to your home. 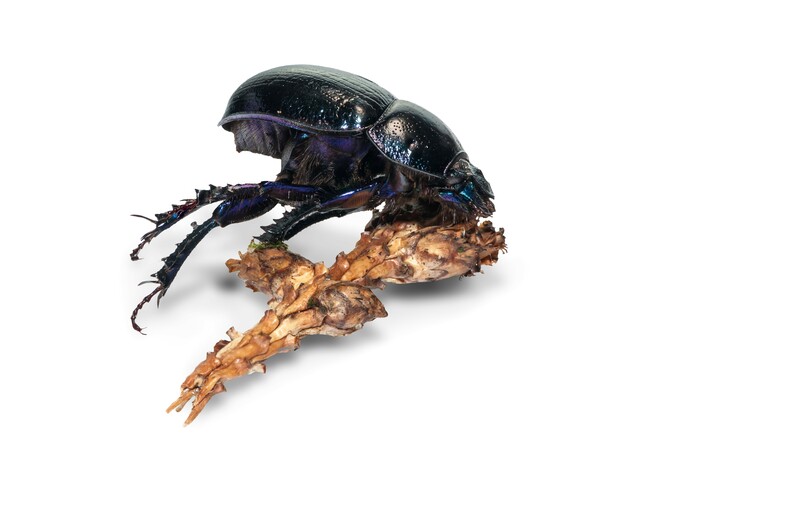 Once in place, the Phantom will be picked up by foraging beetles and when they land on the home and light fixture, they’ll pick up small amounts of the active which will then be “shared” with other beetles. After 2-3 days, all affected beetles will die. 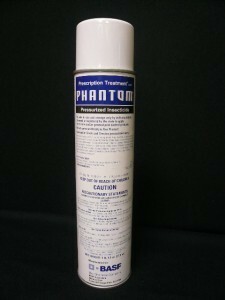 Treating with Phantom will eventually kill off all the beetles coming to your lights but you’ll need to spray these areas every evening for 10-20 seconds to keep the treatment fresh. And you’ll need to do this for at least 7 days in a row. In general, the problem will be gone in a week but if it continues, keep spraying until you don’t find any after dark. The second option is to set out a LIGHT TRAP. This device can be set anywhere. It uses a “photo sensing” cell to detect when its dark and after the sun sets, the light will go on and the trap will begin spinning a thick monofilament cord. Once on, the spinning “weed whacker” like cord will kill beetles that get too close. This is very much a mechanical type control but can be very effective. This trap is commonly used on lake boat docks to naturally mulch insects back into the water. In the yard, it will do the same so make sure you hang it where dying insects can naturally mulch back into the soil. Now if the beetles are coming from your turf or mulch, they will be damaging plants in the landscape. To stop the damage, spray ADONIS at a rate of jug per acre per year. This works out to be about .6 oz per 5,000 sq/ft of turf. Using our 20 GALLON HOSE END SPRAYER, you’ll want to add 3 oz to the sprayer and then fill it with water to the 5 gallon mark. The contents in the sprayer will be enough to cover 5,000 sq/ft of turf. 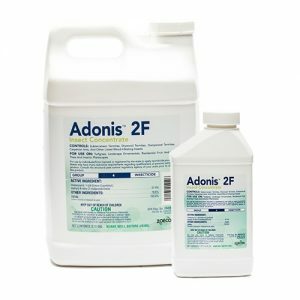 For 10,000 sq/ft, add 6 oz of Adonis and fill the sprayer half way with water. Treatments will take a few days to impact the beetles but after a week, all activity will cease.